Snowed in here in the South, but getting a post out while we still have power! I have been thinking for a while as to why I didn't like some of the newer units and things added in to the Imperial factions. I think I have some answers. Part of it of course is that I'm a crotchety old grognard. Get off my lawn and all that. Part of it is the disappointment in shoehorning new things into long-established background like they've always been there. Not the biggest fan of that in most cases. But a bigger part is not that they've been added, but how and where. What kind of stuff am I rambling on about? 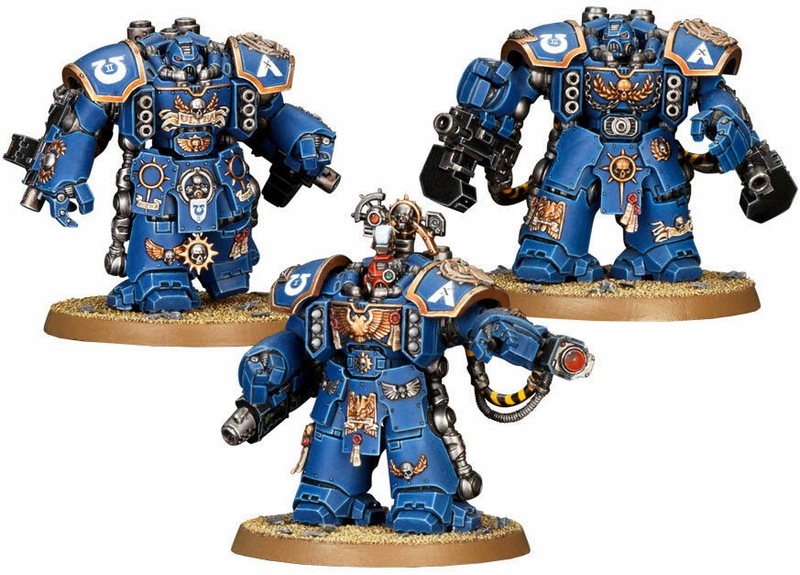 Some of the newer things we've seen introduced in various Imperial books, like Dreadknights, Centurions, grav guns, thunderfire cannons and stormtalons. They gave big mechanical walkers to Grey Knights, an army centered around super-elite infantry. They gave big hulking armored suits to Space Marines, who already have Terminators and Dreadnoughts. They give ancient special weaponry to Space Marines, who haven't used them since Rogue Trader days. In itself not necessarily a bad thing, but could be done better elsewhere. They gave Space Marines a portable artillery piece, which they already had in the Whirlwind. They gave Dark Angels a big funky speeder with esoteric fields and big guns. I don't mind these things being introduced. A lot of them could be cool, but don't really fit terribly well with the armies they got attached to in my opinion. How could they have been introduced better? Imagine this instead - an army with Dreadknights, Centurions, Storm Talons, Thunderfire Cannons, funky speeders, grav weaponry, even perhaps the rumored Knight titans (though I am skeptical of those rumors) all rolled together and modified a bit for a different theme, the glory of all that high tech and ancient weaponry. What does that army sound like? 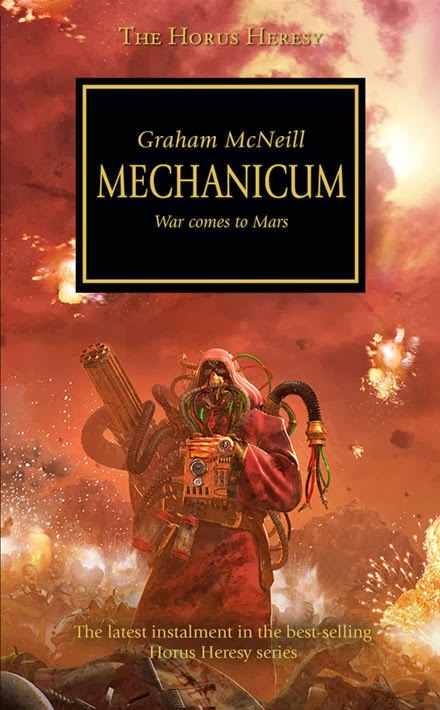 Wouldn't you rather have seen Codex: Adeptus Mechanicus instead of these various things being shoehorned into the other books? I agree! Very good point! I think they need an Overfiend again.